Sign Up Now for Spring/Summer 2019 Courses! Get a jumpstart on your recertification requirements, work with a team on an online course, get a new endorsement or just get some great refreshers on best teaching practices, pre-K – 12. All courses are approved by the Maine Department of Education for 4.5 CEUs. Want to learn new Technology skills with Barb, about Maine Writers with Stephen, or how to work with Children of Poverty with Tracie? Our instructors are fabulous and our new website makes finding a course and registering easy. Online Spring courses begin April 8th. Now is the time to get your paperwork in to your central office for approval, and to sign up for courses! You can join Lindsay Pinchbeck, MALI Design Team member, in her very own school, Sweetland School in Hope, and learn some wonderful strategies to incorporate into your classroom right away. Sweetland School is s a project based elementary program inspired by the Reggio Emilia approach. Drama, Movement, Music, Poetry, Storytelling, and Visual Arts will be integrated across content areas: Math, Science, Social Studies, Reading and Writing. Work with colleagues, build relationships, and ask questions of the professor, in person, for two Saturdays and have the convenience of doing the rest of the coursework online. Encountering the Arts: Choice, Voice and Creativity is one such hybrid course. This online course taught by music educator and MALI Design Team member Jake Sturtevant provides looking closely at assessment practices through a collaborative and fine-tuned lens. It can provide unique opportunities for growth. Connecting new assessment practices to instruction can bring exciting changes to how we approach our students and their learning. Participants will discuss how best to apply recent music assessment work to their own unique situations in their own school music programs. This will lead them to create a personalized plan for implementing new strategies. Assessment in the Music Classroom will provide a great opportunity to look closely at assessment practices. This introductory course provides foundational information relating to the field of gifted and talented education (i.e. history, laws, etc. ), details characteristics of gifted students from various populations, describes how such students are identified and assessed, and presents up-to-date, research-based pedagogy relating to curriculum design and instruction. It may be applied toward the 690 (Gifted & Talented) endorsement for the State of Maine teachers. Join Grace Jacobs for this Educating Gifted & Talented Learners online course. If you have questions contact Catherine Ring, Executive Director, New England Institute for Teacher Education. The New England Institute for Teacher Education is offering two courses that arts educators may be interested in taking. 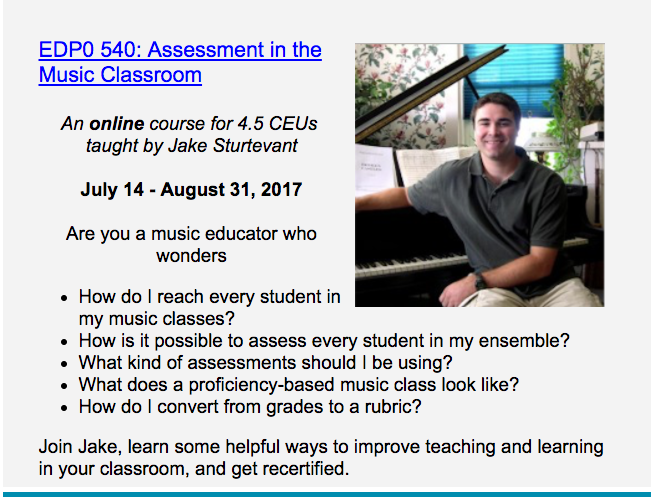 Refining Assessment in the Music Classroom taught by music educator Jake Sturtevant and Technology for Educators taught be former Maine music educator Barb Vinal. Learn about the courses, registration for them, and about Jake and Barb. Looking closely at our assessment practices through a collaborative and fine-tuned lens can provide unique opportunities for growth. Connecting new assessment practices to our instruction can bring exciting changes to how we approach our students and their learning. Participants will discuss how best to apply recent Music assessment work to their own unique situations in their own school music programs. This will lead them to create a personalized plan for implementing new strategies. Articulate recent trends in assessment and clear connections to their own classrooms. Develop and implement a personalized plan of instruction and assessment in their own classrooms. Network ideas, resources and strategies with other music and arts colleagues in the field. Develop a meaningful approach to ongoing analysis and modification of their own instructional practices. Demonstrate a clear connection between music assessment and music advocacy in their own schools and communities. This is an online course and the instructor will set up video conference meetings with students. To register CLICK HERE. This course satisfies a requirement for re-certification by the Maine Department of Education. This course is taught Jake Sturtevant who was born and raised in Maine by a musical family. He is a prolific composer, performer, and music educator. His compositions encompass a variety genres and media including jazz, funk/fusion, vocal, chamber music, orchestral, electronic, and multi-media works. Jake currently is a music educator at Falmouth High School. 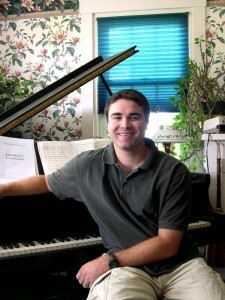 He is the former music director at Bonny Eagle High School, in Standish Maine and was music educator at Washington Academy in East Machias, Maine, Teaching Assistant of the Composition department at the University of Minnesota, and he has worked as an intern and as an independent contractor for the Maine Arts Commission. Jake has been interested in acquiring and changing his teaching and assessment practices to focus on standard based grading. He has had the opportunity to be part of the Maine Arts Leadership Initiative formally know as the Maine Arts Assessment Initiative, and has taught a variety of workshops at since the initiative started in 2011. He is continually inspired by other teachers around the state and the country who have found a variety of assessment practices that help students achieve practical goals that will help them progress, while not stifling their creativity. Jake holds degrees from the University of Maine at Augusta’s Jazz and Contemporary music program (B.A., Music, 2003), and the University of Minnesota (M.A., Composition 2005), where he studied with Dr. Judith Lang Zaimont. Beyond his profession Jake enjoys his time with his family, and all outdoor activities especially hiking and skiing. In the 21st century, it is imperative that teachers keep up to date with technology tools for teaching and learning. This course will help educators best serve their students by learning how to use popular tech tools to help facilitate and inspire student learning and creativity. Exploration of technology applications (including Google apps) as well as the development of an online Personal Learning Network to include social media and bookmarking make the course relevant to individual educator needs and is designed to encourage continued learning beyond the course. Participants will develop a digital toolbox to help manage classroom lesson plans, schedules, and assessments and will enhance effective communication with students, administration and parents. This course helps educators to meet some of the ISTE (International Society for Technology in Education) Competencies for Educators. Ability to connect to the Internet – high speed connection preferred. Current browser such as Google Chrome or Mozilla Firefox. Barbara Vinal holds a Masters in Technology Education from Lesley University, a Bachelors in Music Education from the University of Massachusetts at Lowell and holds a certificate in online instruction through the Carolina Online Teacher program (COLT) through LearnNC, a program of the UNC School of Education. She is currently an Instructional Technology Facilitator and Magnet School Coordinator for the Wake County Public School System in Raleigh, NC. She has been an educator in Maine, New Hampshire, NC and Texas for over 30 years. Mrs. Vinal was a member of the Maine Department of Education Learning Results Review Committee in 2007, which developed the Maine state standards in Visual and Performing Arts. 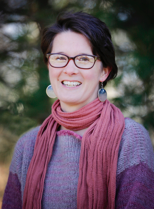 She has presented sessions at multiple conferences on technology integration in the classroom, assessment techniques and in developing standards-based curricula and served on the Maine Arts Leadership Initiative Leadership Team. Proficiency-based teaching and learning is here to stay. 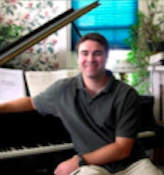 Learn how you can effectively implement it in your MUSIC classroom, with Jake Sturtevant! Improve your classroom results, make your Principal happy, and take care of your recertification credits this summer! For K-12 Music Educators. Jake has been a teacher leader with the Maine Arts Leadership Initiative since it started in 2011. Are you ready to take your classroom into the 21st century? Are you in awe of your colleagues who are more facile with technology than you are? Would you like to explore how Google Drive can help you organize your classroom? This course is a great way to get your recertification credits in ONE class for 4.5 CEUs- all online! EDE 325: Technology Integration in the Classroom, K-12 is an online course running this summer from June 27 – September 4th. 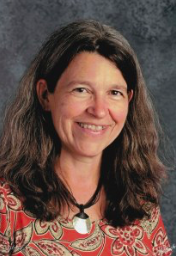 Instructed by fellow educator Barb Vinal, the course will help educators best serve their students by learning how to use popular tech tools to help facilitate and inspire student learning and creativity. Exploration of technology applications (including Google apps) as well as the development of an online Personal Learning Network to include social media and bookmarking make the course relevant to individual educator needs and is designed to encourage continued learning beyond the course. Participants will develop a digital toolbox to help manage classroom lesson plans, schedules, and assessments and will enhance effective communication with students, administration and parents. 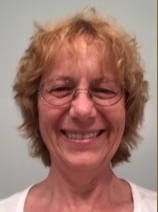 Barb has been teaching for over 30 years, and holds a Masters in Technology from Lesley University. This is the first course Barb is instructing for the Institute, and she is looking forward to working with students as they enhance their technology skills. 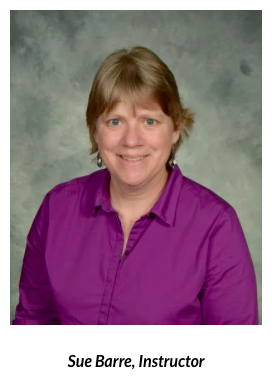 Barb is currently an Instructional Technology Facilitator and Magnet School Coordinator in North Carolina, and she has presented sessions at multiple conferences on technology integration in the classroom.